Home / Deals / Online Deals / Amazon Deals / Real Cooking Baking Sets Deals | As low as $11.99! Make delectable and Pinterest-worthy treats with these kid-friendly Real Cooking Baking Sets Deals on Amazon! You can grab baking sets for as low as $11.99! They ship FREE with Amazon Prime! If you don’t have Prime, you can sign up for a Free 30 Day Trial of Amazon Prime here. First we have the Real Cooking Deluxe Cookie Baking Set – 25 Pc. Kit Includes Sprinkles, Candy, and Mixes priced at $11.99 (reg $19.99). The deluxe cookie baking set contains a perfectly-sized rolling pin, a dough ring to ensure the dough is rolled out to the correct thickness, a silicone cookie tray and over a dozen custom cookie cutters. Next there is the Real Cooking Ultimate Baking Starter Set – 37 Pc. Kit Includes Sprinkles, Cake & Frosting Mix for $19.99 (reg $29.99). An all-inclusive kit containing kid-friendly real-working kitchen tools that take the legwork and mess out of cooking with kids. Make picture perfect desserts with specialty utensils. Keep it neat with Mixing Bowls that suction in place. Check out this Real Cooking Chocolate Pen 2 Kit – Includes 4 Chocolate Refills now on sale for $24.82 (reg $29.99). A pen that writes, molds, and decorates in colorful chocolate you can eat! The Chocolate Pen is updated to make it even easier for little hands to enjoy. Don’t miss out these Kids Bluetooth Wireless Headphones! 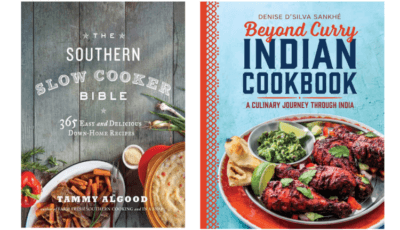 Kindle Cookbooks as low as $0.99 Today Only!